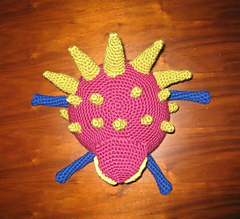 The iconic Zoomer based on the original Metroid video game. 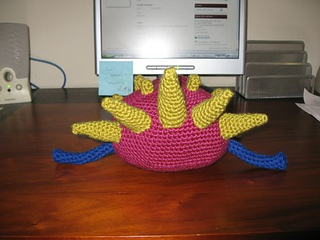 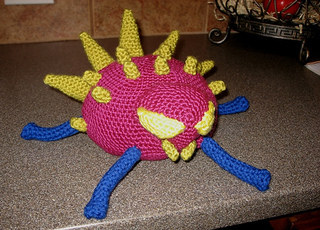 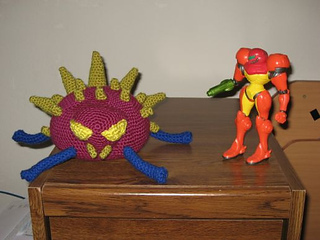 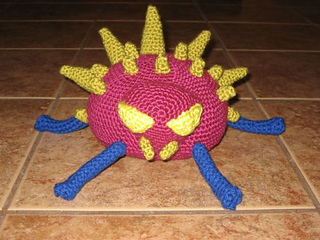 A personal request from my husband, this amigurumi was custom-made based on his impressions of the original 2D sprite, with some influences from later Metroid games. 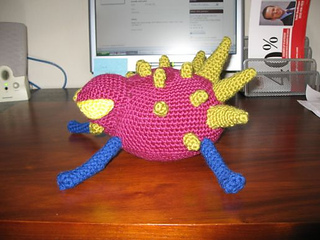 Can be made in the red-purple or yellow-orange version.